TRAIL CAPABLE 50" SIDE x SIDE With a 50” width, just 2” wider than many ATVs, the RZR 900 goes where other Side x Sides can’t. 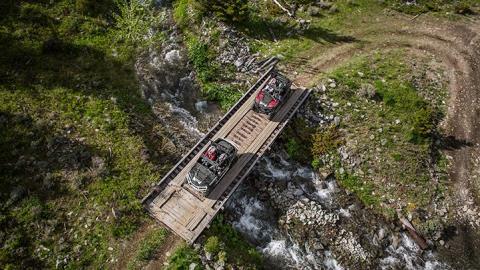 It's the best trail-capable Side x Side on the market. OPTIMIZED TRACK WIDTH The RZR 900 inspires confidence through corners thanks to almost 3 additional inches of rear track width all while maintaining an overall vehicle width of just 50". TRUE ON-DEMAND ALL-WHEEL DRIVE (AWD) True AWD gives you the ultimate grip to put that 50" width to work into and out-of corners. It’s the easiest to use and fastest responding on-demand system, automatically engaging all four wheels when you need more forward traction and reverting back to 2WD when you don’t. This means less wear and tear, easier steering, and maximizes power when you need it most. 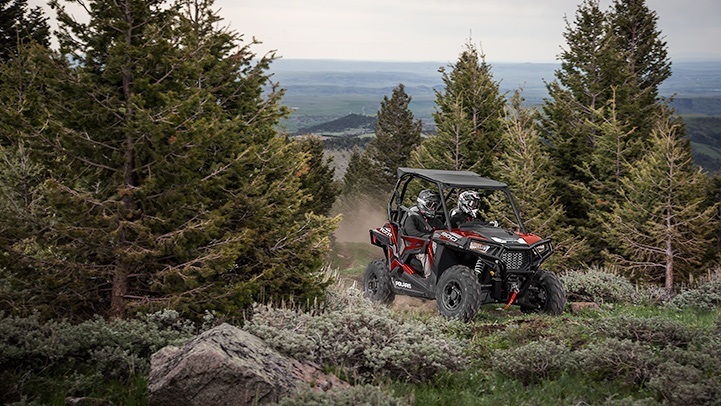 NARROW TURNING RADIUS AND IMPROVED STEERING The RZR 900 features a narrow 15.9 ft turning radius to navigate those curvy trails and 20% faster steering response with an improved 2 turn lock to lock steering ratio. NEW BOLSTERED BUCKET SEATS New! Bolstered buckets seats with Dryseat technology keep you dry and comfortable for those long days behind the wheel. IMPROVED ERGONOMICS The new body style on the RZR 900 gives you plenty of room to get in and get out and an additional 1" of leg room for all day comfort when piloting it down the trail. FACTORY INSTALLED DOORS Factory installed doors offer loads of comfort and add a custom look to your RZR. 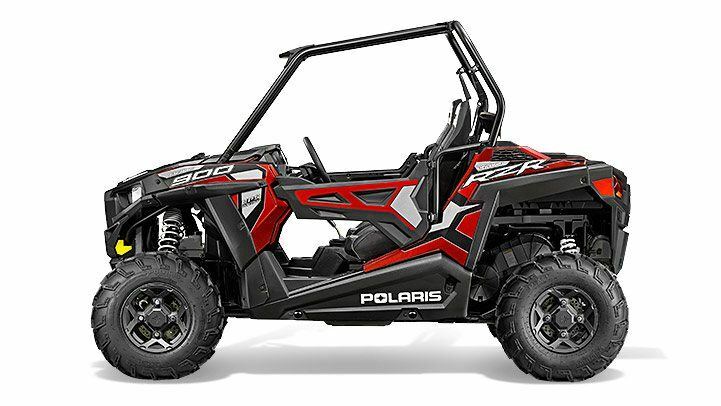 Lights Polaris Engineered™ offers superior performance with luminous lighting technology to light your way. These lights use Polaris-exclusive LED technology, angled reflectors and a proprietary shape for full-spread light projection so you can see more. NEW! 75HP ProStar® ENGINE Just because the RZR 900 is 50" wide doesn't mean we skimped on the power. It features the same class leading 75 HP ProStar® engine as the RZR S 900. 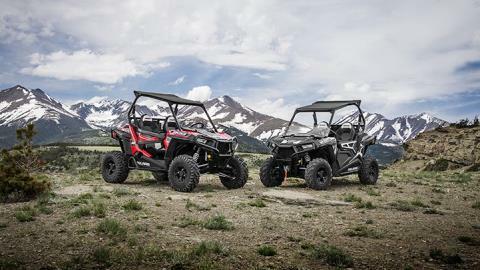 With hallmark ProStar® features like dual overhead cams, 4 valves per cylinder and electronic fuel injection we've upped the torque 14% and increased HP by 40% over the RZR 800. 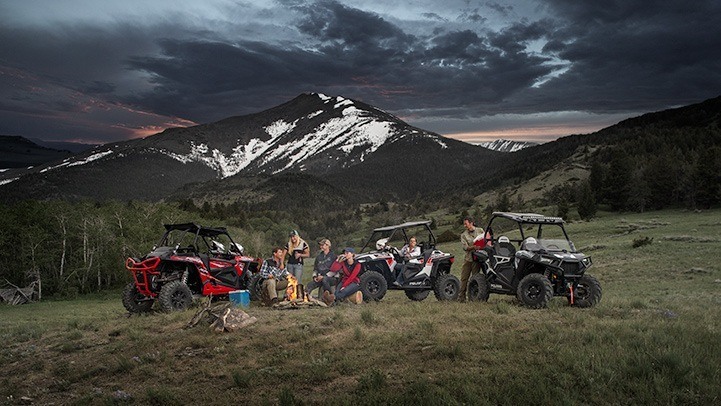 HORSEPOWER TO WEIGHT FOR TRAIL PERFORMANCE The modest weight and 75HP ProStar® engine in the All-New RZR 900 boasts loads power and acceleration thanks to an incredible power to weight ratio of 6.5 Hp to every 100 lbs of dry weight. 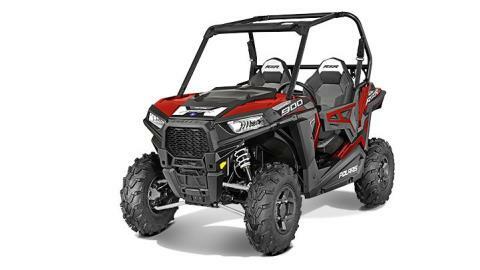 THE FASTEST ACCELERATING 50" RZR EVER 0 to 40 mph in 3.76 seconds made possible with the 75 HP ProStar® engine. 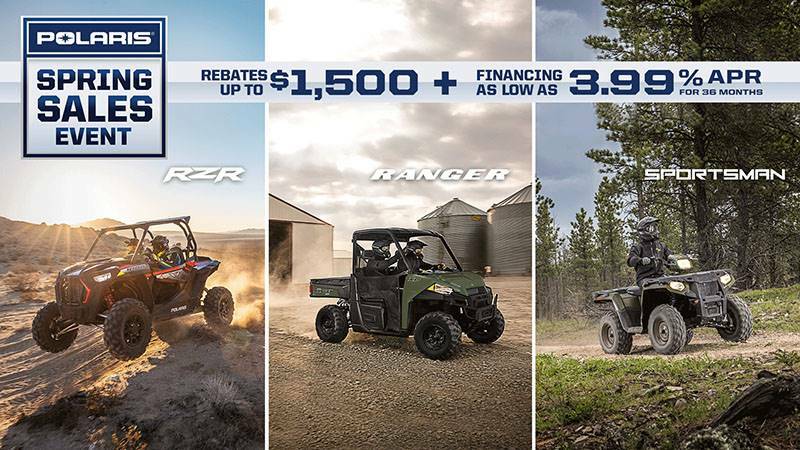 That's 20% faster than the RZR 800 giving you lightning quick acceleration taking you from corner to corner on the trail. 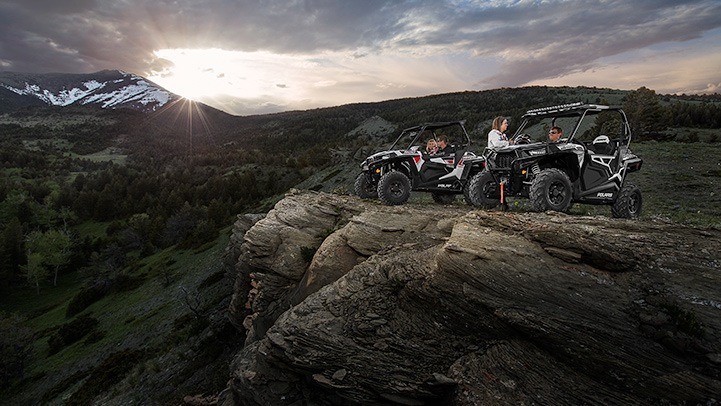 UPERIOR TRAVEL AND SUSPENSION FOR THE TRAIL With 10" of suspension travel in the front and rear, and pre-load adjustable ZF Sachs Shocks the RZR 900 Suspension is tuned for exactly the way you ride. New geometry designed for 50" terrain gives you a performance based machine thats ready to tackle the trail. 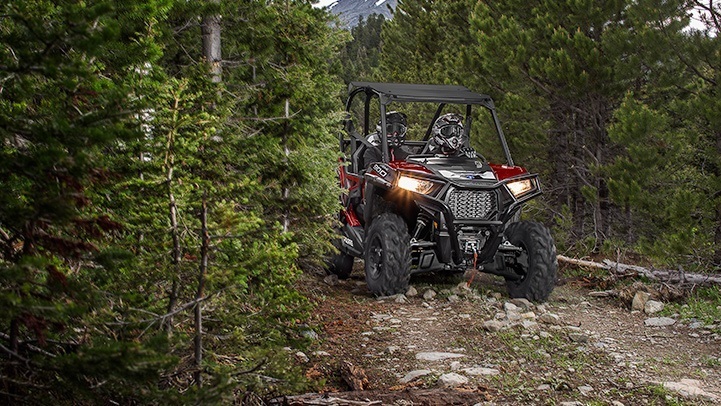 UP TO 11" OF GROUND CLEARANCE Up to 11" of ground clearance allows you to navigate rocky trails and everything they throw at you with confidence. 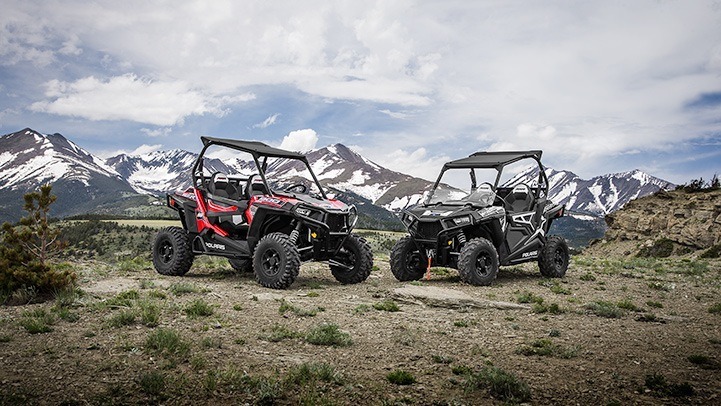 2" LONGER WHEELBASE FOR A SMOOTH RIDE RZR 900 features a 79" long wheelbase paired with front and rear Dual A-Arm suspension for the ultimate in trail performance.